I was trying to decide the best way to describe this smoothie but felt stumped, so I asked Bryan in passing. He immediately came up with “satisfying”, followed my the perfect combo of sweet and filling. Do I need to say anything else? Alright, I will. 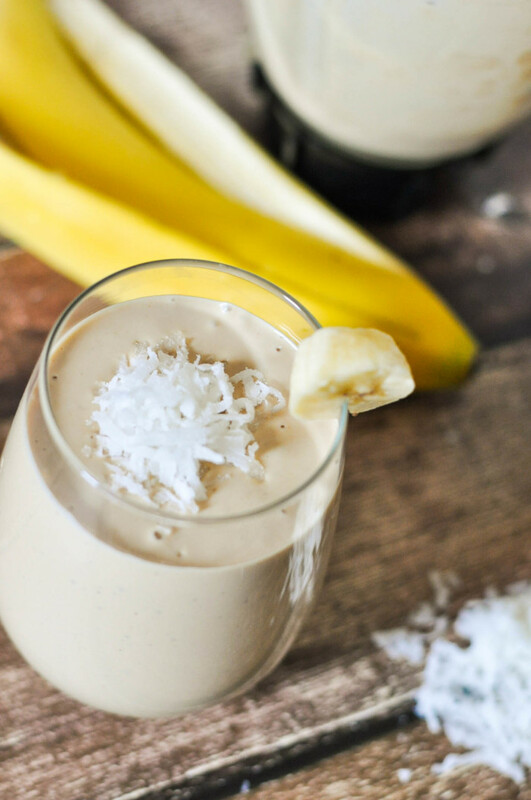 When I was first challenged to create a recipe with peanut butter and coconut, I was a little hesitant. While I do something eat (or drink) it, I am not a huge coconut fan. I immediately knew I wanted to make a smoothie though because I’m on a huge smoothie kick lately. They make fabulous snacks in smaller portions and can even leave me feeling full if I drink a cup for either breakfast or lunch. 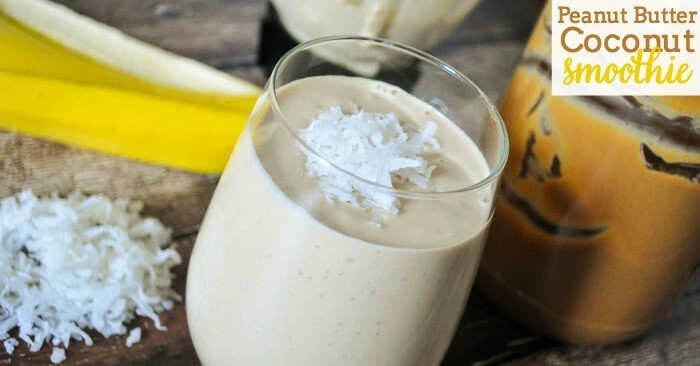 After having time to think about this recipe, I would call it rich and creamy. The coconut taste isn’t over powering, and I love that. Instead, it offers this light sweetness that pairs so well with the salty of the peanut butter. It is definitely worth a try, even if coconut isn’t your favorite like me. 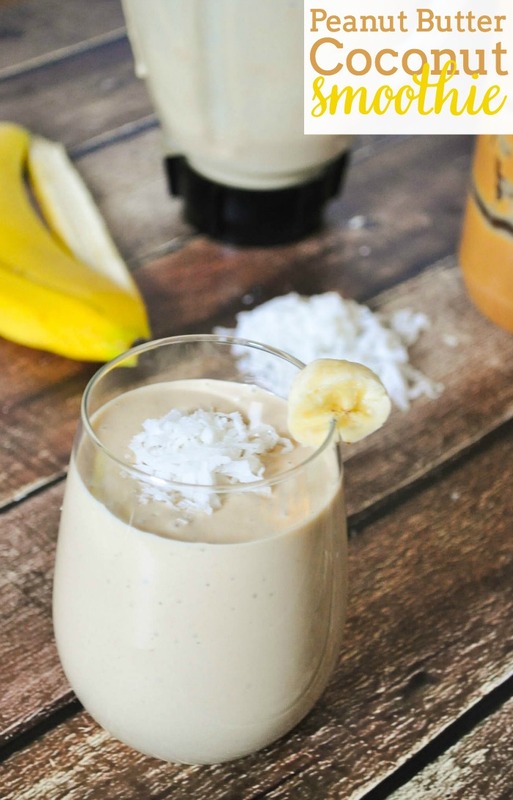 Satisfying Peanut Butter Coconut Smoothie Recipe - a rich and creamy smoothie recipe that pairs salty with the perfect touch of sweet. 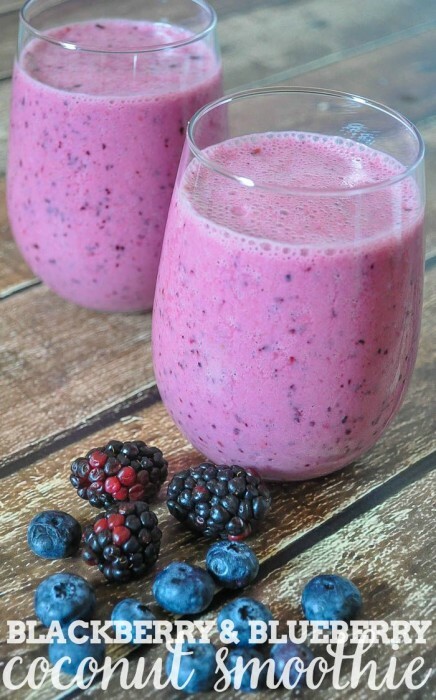 Place all the ingredients into the blender. 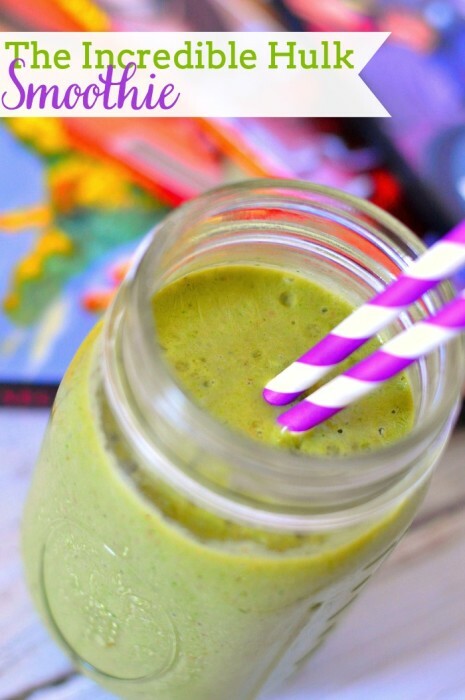 If you like this smoothie recipe, you might also enjoy my other Drinks & Smoothies! If you’re a blogger and you want to join in on the peanut butter bash fun, email Miranda at miranda@cookiedoughandovenmitt.com and request to join the Peanut Butter Bash Facebook group! The first Thursday of each month we post a recipe with peanut butter and a mystery ingredient. If you’re just a reader, you can join our Peanut Butter Recipe Box Group where bloggers share all of their delicious Peanut Butter Recipes!